A recent article in The Economist (‘The Uses and Abuses of the G-Word’, 4 June 2011) reviews the tangled debates about the definition of ‘genocide’, and notes that ‘its use brings momentous political and legal consequences – and is therefore bound to be highly contested’. Well, yes and no. In western democracies, its use by human rights activists may bring political consequences in that governments come under pressure to ‘do something’ to stop the ‘genocide’ – pressure that most governments most of the time will find very uncomfortable. But they have proven more than up to the task of resisting the pressure, time and again. Western democracies are usually not slammed for over-reacting to purported genocides (though the case of Kosovo in 1999 is an important exception to this). 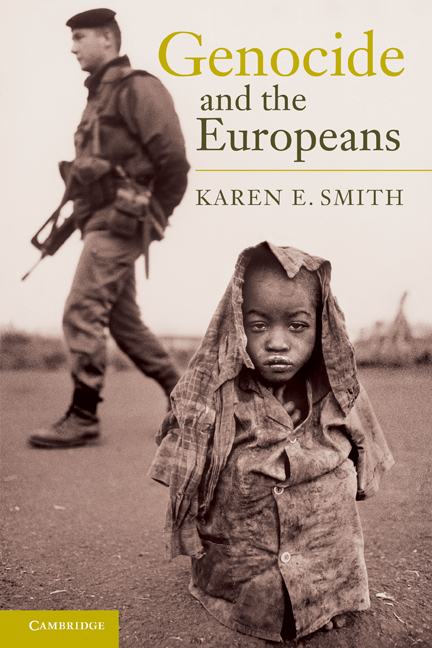 In my book, Genocide and the Europeans, I look at the willingness of three European states – France, Germany and the UK – to use the term genocide. In many cases, even where governments are under pressure from activists, analysts and MPs to use the term, they resist. Even where other governments, or respected human rights organisations, or even UN bodies (including the International Criminal Court) have used the term, there is still resistance. They do, however, have a way out of the dilemma of how to respond: turn to their obligations under the 1948 Convention on the Prevention and Punishment of the Crime of Genocide. This is very much an unloved international treaty – one of the least ratified compared to other important international human rights treaties, and one that several European governments (among them, the UK) refused to ratify or accede to for decades after its approval by the UN General Assembly. The Genocide Convention does have consequences for its signatories, though these are not necessarily ‘momentous’ for western democracies, who are not normally going to be in the position of having to prosecute their own citizens for the crime of genocide – which is just about the only clear legal consequence spelled out in the Convention. Instead, western democracies have – sometimes reluctantly – created international tribunals that can prosecute individuals suspected of having committed genocide and other genocidal acts. Cooperation with such tribunals can be uncomfortable (so, for example, for a couple of years after the Dayton agreement was signed, the British and French governments did not want their soldiers serving in Bosnia to try to arrest suspects), but does not truly create the kinds of pressures on governments that, say, those countries suspected of harbouring suspects face. And in fact, citing their activities in support of tribunals gives the governments of western countries a way of deflecting any societal pressure to ‘do something’ more in the case of genocide: they can justify their response by noting that they are complying with the Genocide Convention. It is thus important to separate out the ‘legal and political consequences’ that governments face when genocide is suspected. Momentous they are not – for European governments. Perhaps we should be more concerned about the non-use of the ‘g-word’ – at least until such time as the killing is over and suspects can be identified and brought to justice. Yes, there are those who throw the word around too much, and yes, the word can be politicised, but, as indicated above, over-reaction is hardly a charge that can be laid at the door of European governments.